49th (Edmonton) Infantry Bn, 7th Infantry Brigade, 3rd Canadian Division, C.E.F. 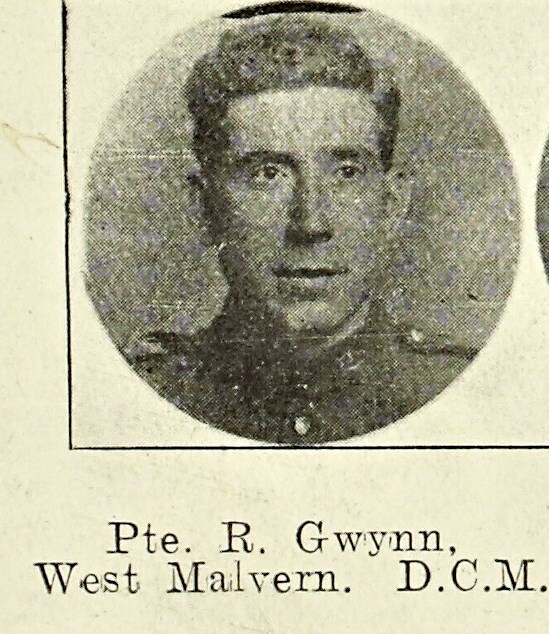 Ralph Gwynne, a miner, was the son of Mr and Mrs John Gwynne, Woodland View, Lower Road, West Malvern. Before emigrating to Canada he served with the 2nd Volunteer Battalion of the Worcestershire Regiment (the forerunner of the 8th Battalion). 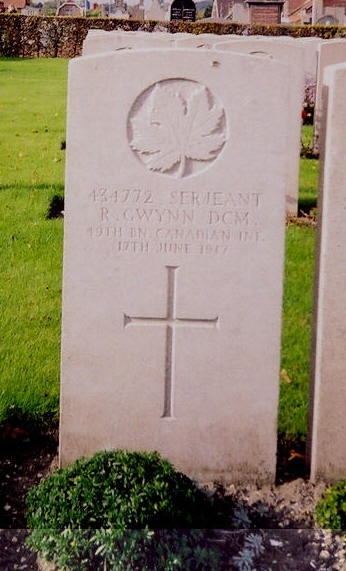 He enlisted in the 50th Canadian Infantry Battalion at Calgary in February 1915 and at attestation his surname was incorrectly taken as “Gwynn”. On the 27th October he sailed from Halifax on the Arduna and landed in England in November. He went to France with the 9th Reserve Battalion in March 1916, and was transferred to the 49th Battalion. On the 8th October 1916 he went out and dressed wounded soldiers in the advanced posts, and afterwards superintended their removal. He performed these duties for 60 hours without rest and in the open under heavy fire. For this brave act he was awarded the Distinguished Conduct Medal and was promoted Corporal in December. The following March he was made Sergeant and was severely wounded on the 9th August. He died eight days later of multiple gunshot wounds. He was buried in Noeux-les-Mines Communal Cemetery Extension, which was used by the 6th and 7th Casualty Clearing Stations, RAMC that were stationed nearby. Samuel, Ralph Gwynne’s brother who lost his leg as a stretcher bearer in August 1917. Ralph Gwynne had three other brothers who served in the war. Walter, the eldest served with the Worcestershire Regiment and was killed early in 1915, Samuel served in the RAMC and was decorated by the French Government with the Medaille Militaire. 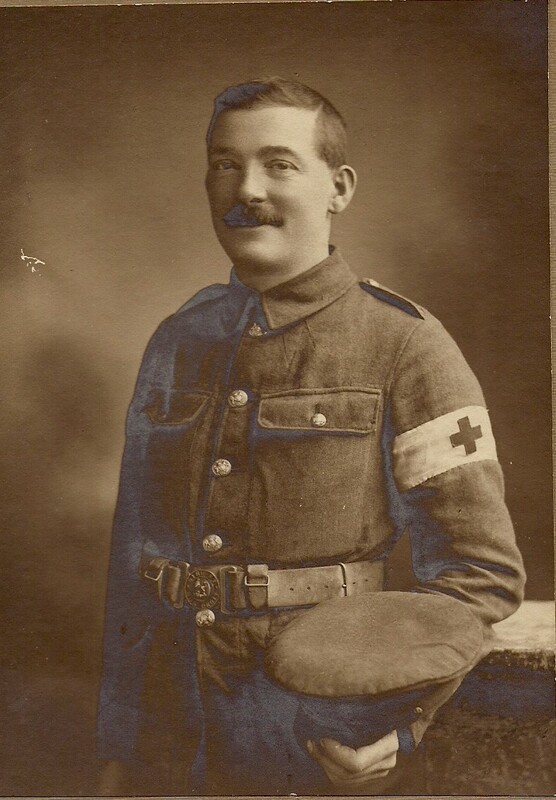 Sidney also served with the Worcestershire Regiment.